Under construction until March 2019. 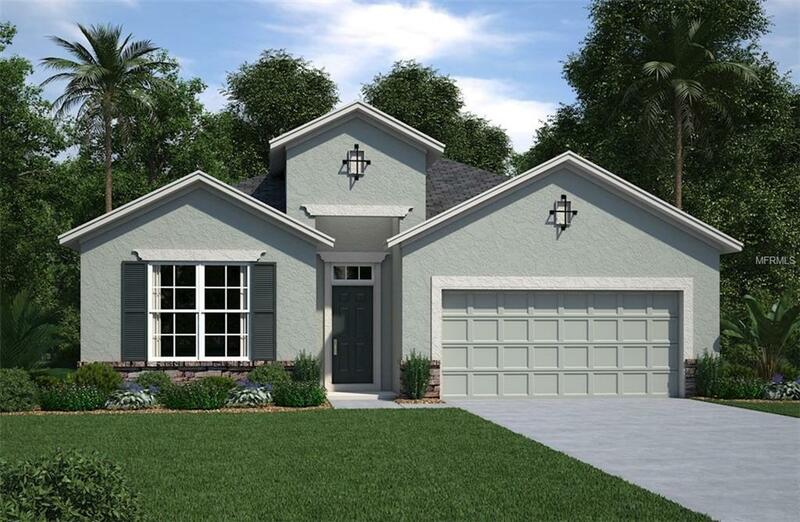 Located towards the front of the community, this single story 4-bedroom, 2-bathroom single-family home features an open and spacious great room and a 2-car garage. The kitchen has STAINLESS STEEL Whirlpool appliances, including cook-top and double ovens, 42" cabinets in Tahoe Linen with crown molding and granite countertops in Majestic White Eased Edge. There are 6"x 36" wood-like PORCELAIN TILES in Hillhouse Greige on main living areas. The master bedroom features access to a spa-inspired bath, complete with a soaking tub, a separate glass-enclosed shower, linen closet, private commode, dual vanity sinks with granite countertops and a huge walk-in closet. Secondary bedrooms are roomy, comfortable and have large closets for optimal organization. Enjoy relaxing evenings on the rear covered lanai. Every Beazer home is built to ENERGY STAR standards, is tested, and receives an individual ENERGY STAR certification. (NOTE: interior pictures are of a different home with the same floorplan; features may vary).